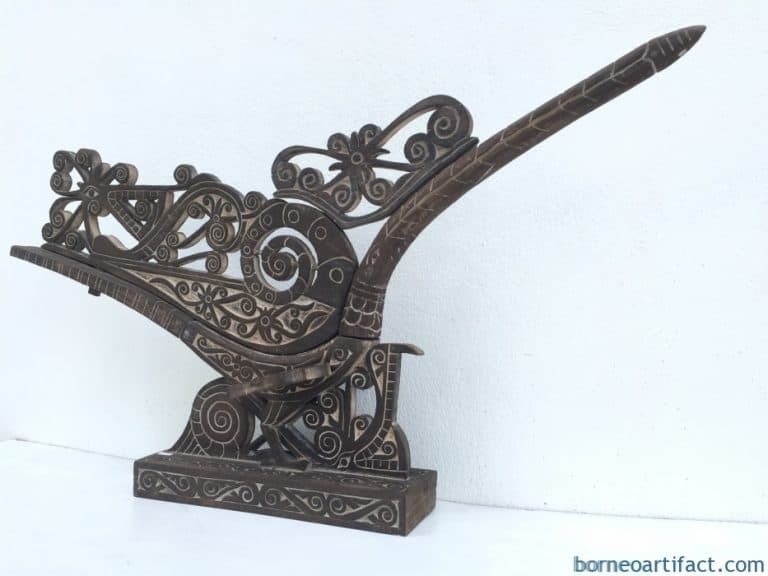 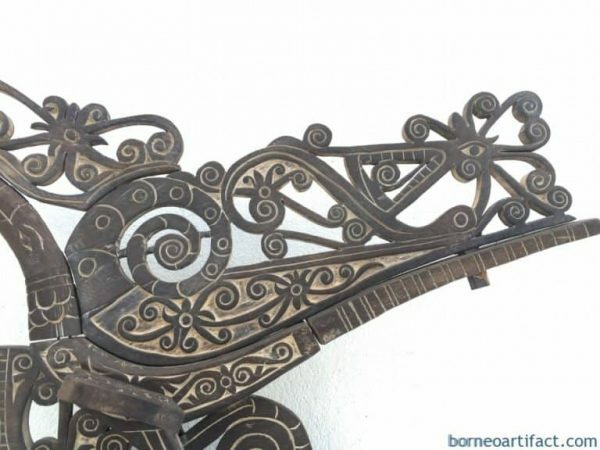 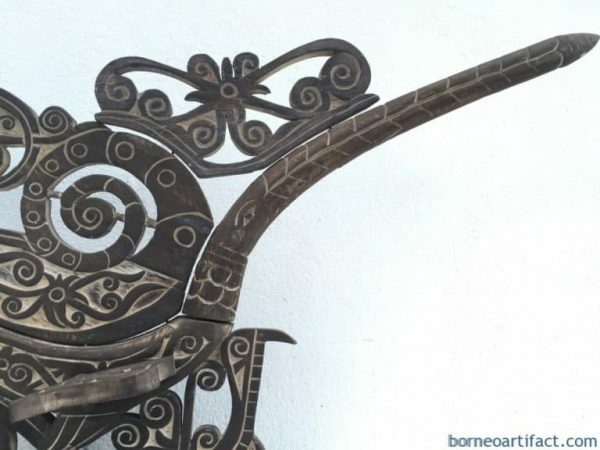 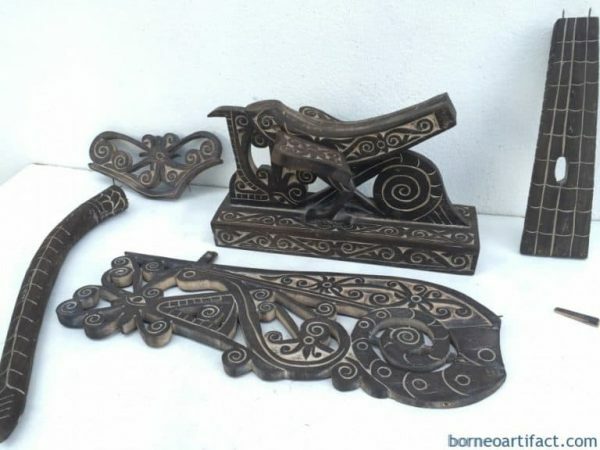 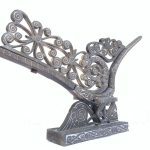 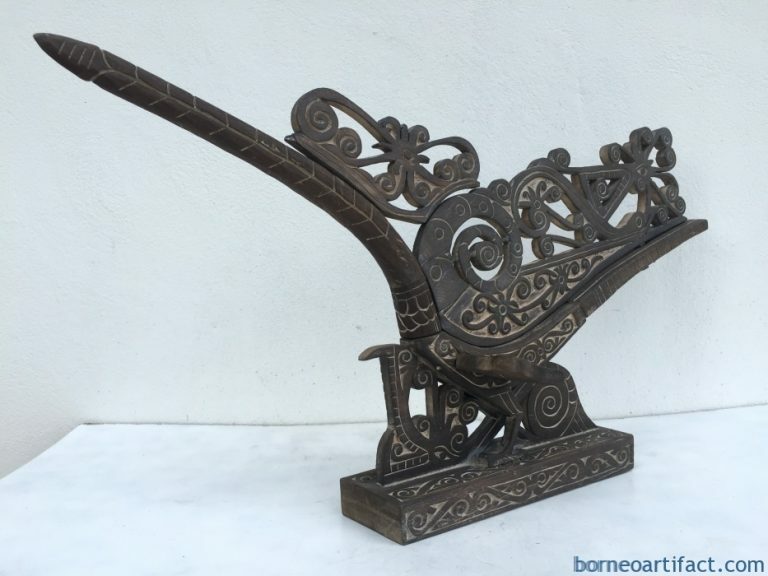 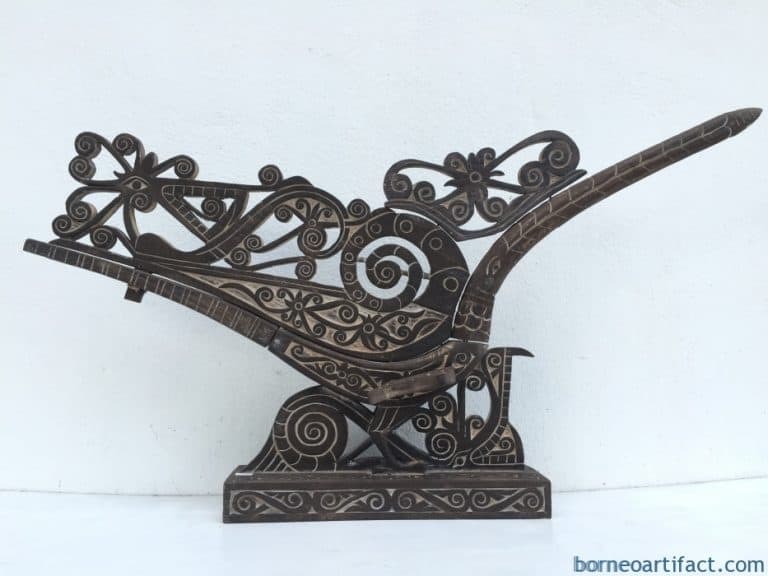 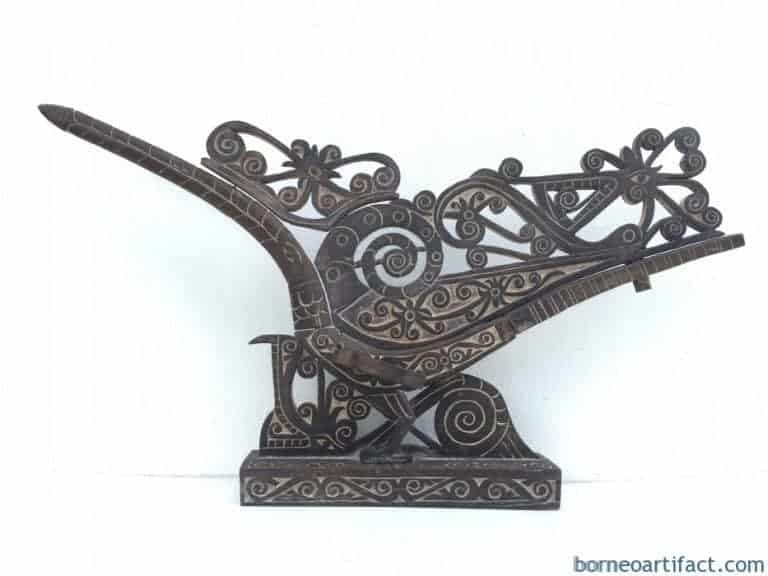 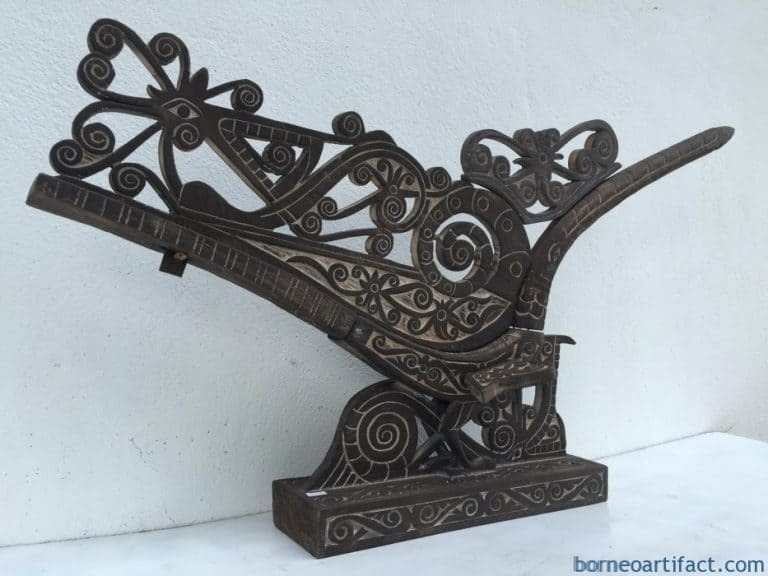 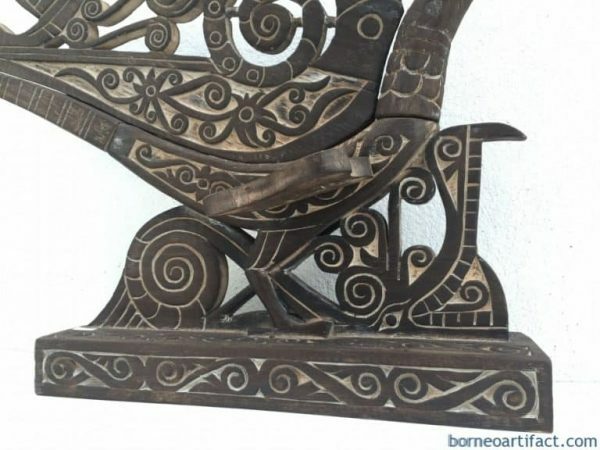 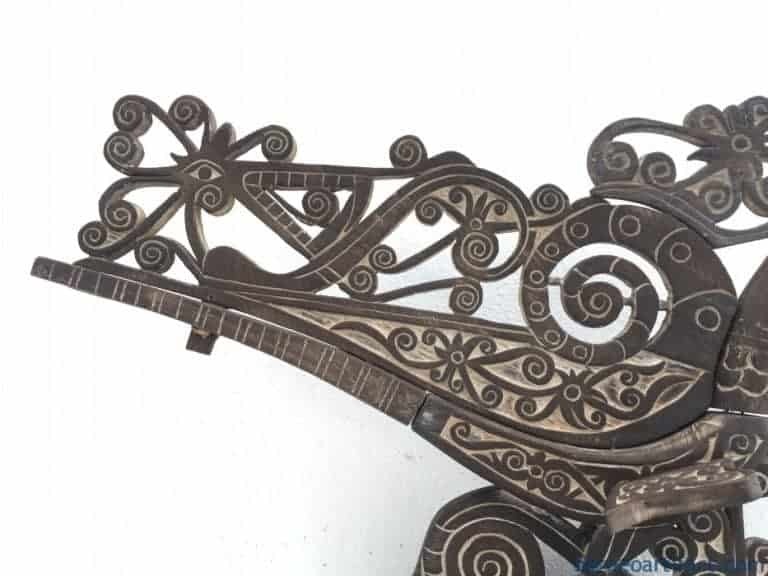 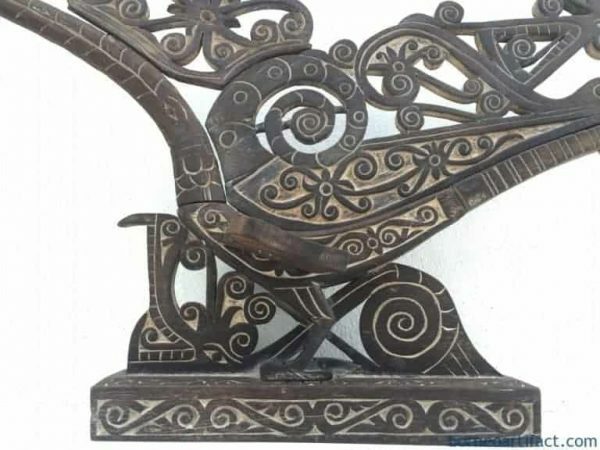 Lovely piece of tribal artwork, a (880mm/34.6 inches in length) Burung Kenyalang / Hornbill bird made in spectacular fashion from medium hardwood, adorn with typical Dayak motifs of Tree Of Life, Buah Berinjan / Creeper Vine & Mata Aso / Dragons Eye. Base of hornbill is decorated with an Aso Naga / Dragon. 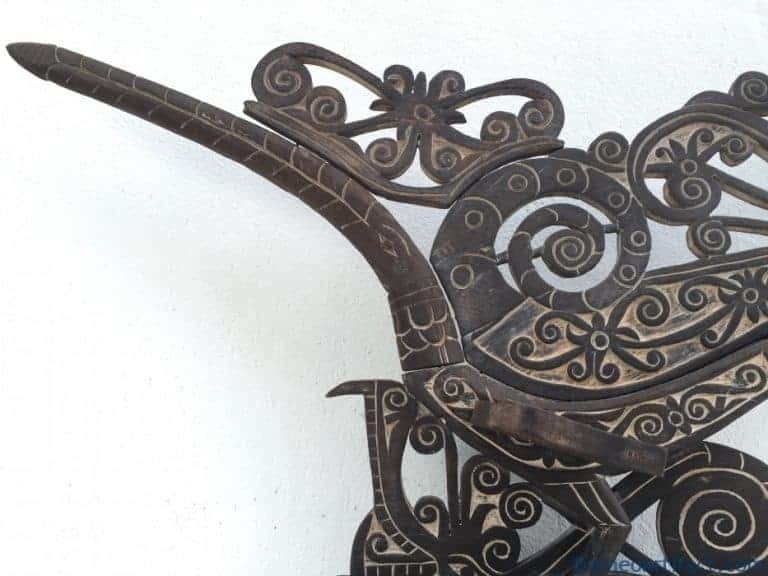 Circa 2000.